HolyJuan: Sick of Political Ads? New device can block commercials. Sick of Political Ads? New device can block commercials. Columbus (FD) - By now you are probably fatigued from all the political commercial bombardment. A company out of Columbus, OH has a revolutionary idea for television viewers who are tired of the constant barrage of political commercials, especially after they have voted. Political Subtract is a scanner from that can read the barcode on an absentee ballot or early voting ballot and get rid of those crappy commercials in a snap. The technology is very simple. 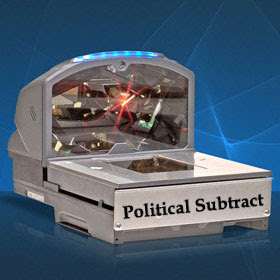 Viewers purchase the Political Subtract scanner and connect it to their existing cable box. Once their ballot is scanned, they are given a choice of what programming they would like to be shown in place of the political ads. 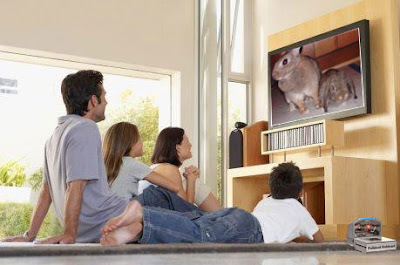 Viewers can choose from a varity of programming such as sports, comedy or bunny. And there are other alternative programming choices as well. So far they have sold 134 million units.